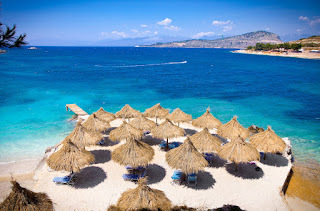 Albania is definitely on the map for Best Beaches not only in Europe. After Lonely Planet who suggested Albania as destination for beach lovers, this year is European Best Destinations, the organisation based in Brussels and developed to promote culture and tourism in Europe, who selected Ksamil in Albania as one of the best beaches for 2016. Are you ready to discover the most beautiful beaches in Europe? Here is a selection of the best beaches for relaxing, partying or simply walking. Discover the top beaches in Europe. Take a look at our selection of the most beautiful beaches of the European coastline. Pack your bathing suits, your sunglasses, do not forget the sunscreen, and discover those heavenly beaches. Ksamili Islands. The four marvellous Ksamili islands only 8.9 ha when measured together feature some of the most unspoiled beauty in all Albania. They remain covered in lush, green vegetation throughout the year, and can only be accessed by small boats. The clear water surrounding these islands makes the pristine beaches in the area that much more special..
European Best Destinations is a European organisation based in Brussels and developed to promote culture and tourism in Europe. In partnership with the participating tourism offices and the EDEN Network they promote a better understanding of the wealth, diversity and quality of European destinations.